Long in use by the world’s militaries and fiction’s most resourceful spies, thermal imaging technology has finally found its way to the average consumer over the last decade. 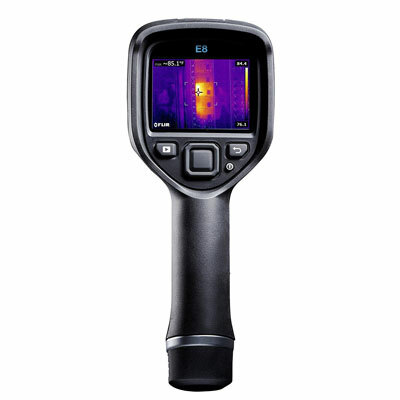 While not exactly cheap yet, commercial thermal cameras have reached a point where they’re becoming a standard tool for home and jobsite inspection and can be seen in the toolboxes of plumbing or electrical experts as well as conscientious homeowners. 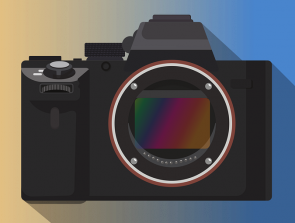 In this guide, we take a look at the best thermal cameras for home and professional use in 2019. Temperature threshold and spot mode features. Good LED flashlight and wide selection of gradients. Large IR sensor. Long battery life with a spare thrown in. The possibilities buying a thermal imaging camera brings are wide indeed – even an inexpensive model with a highly pixelated output can help you discover a leak inside a wall, an appliance that’s running dangerously hot, or an unwelcome guest somewhere on your property. Once you’ve got nothing better to do, you can even use it to gauge the temperature of a succulent steak. When taking stock of the shape of your home or identifying potential heat loss areas at a jobsite, nothing helps as much with the diagnostics as a sharp and detailed thermal image of the problem spot in question. 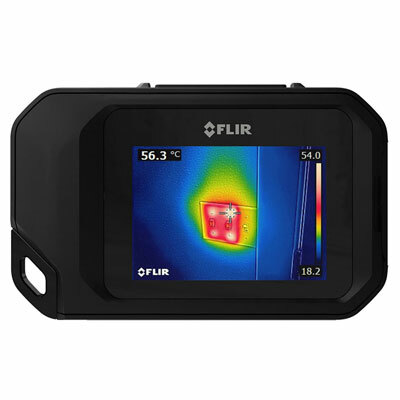 FLIR’s E-series of thermal cameras was made to quickly identify such areas, and the flagship model – the E8 – is the camera we believe will do the job best. The E8 boasts a razor-sharp 320×240 pixel IR sensor that delivers images with far more quality than industry standards prescribe. To give you an even clearer sense of what is currently being captured, the E8 comes with FLIR’s proprietary MSX image enhancement technology. 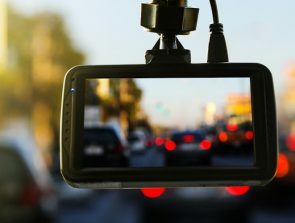 It makes objects stand out by overlapping regular camera footage over the IR readout, leading to more detail and better accuracy. At just over a pound, the E8 is light enough to be used throughout the day. Ensuring that it keeps up with your demands is a 4-hour rechargeable battery, with a spare ready to go if the first one gives out. Shooting images with the device is child’s play – point it at an area, give the autofocus a moment to kick in, and press the large central button. Whether you’re wearing gloves or working in temperature extremes, the E8 responds without a hitch. The images it takes are stored in the JPEG format and are accompanied by all the radiometric data needed for later analysis. Ordinary and thermal images are stored at the same time and can be overlapped for a picture in picture effect that gives the thermal image a broader context. The E8’s temperature range is rather low. You’ll probably never get readings that exceed its limits during HVAC or electrical inspections, but it might prove to be limited in industrial environments. 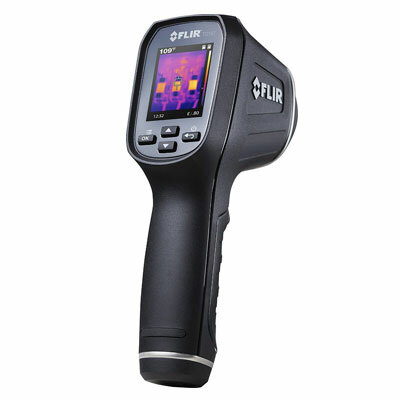 As part of the package, you get FLIR’s image analysis software. While useful, it’s prone to freezing and crashing, which will probably discourage you from relying on it. Dimensions: 9.6 x 3.7 x 5.5 in. 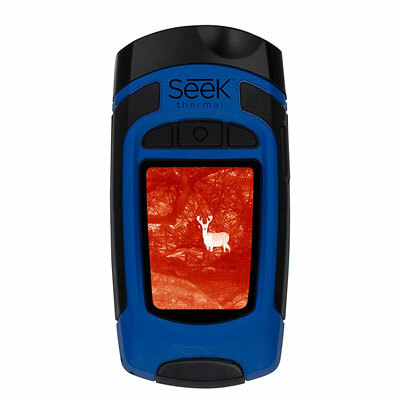 Seek’s Reveal is a cheap yet powerful thermal camera that feels at home both in the hand and in the toolbox. Its decent resolution and temperature range coupled with long-range effectiveness and a bright LED flashlight make it a good choice to bring along to any construction job or nighttime hunt. The Reveal was built to deliver precise temperature readouts at impressive distances. It’s accurate up to 500 feet, allowing you to spot prey or a potential intruder long before they get wind of it. Even subtle temperature differences are detectable thanks to its fairly large sensor. At shorter ranges, this will give you an accurate picture of the state of insulation, HVAC systems, wiring etc. At mid to long ranges it will help to detect a heat source like an animal or person, provided it’s the only one in a colder environment. Build quality is high as the Reveal’s body is of solid, rubberized plastic. Don’t worry about tossing it in with your other tools since its surface won’t easily scratch. A powerful 300-lumen flashlight ought to illuminate any surroundings well, but the camera can be effectively used in absolute darkness too. With a potential runtime of 10 hours, the Reveal’s battery is impressive. There’s no video capture, but you can take images and store them on the accompanying SD card. Onboard software displays the temperature of anything you’re currently scanning, allows for an overview of stored images in a gallery, and shows you pertinent info like date/time, battery status etc. There are 7 different color gradients to choose from. Some like Black & White are great for locating people or animals on the move, while others like Iron are better suited for inspecting your home. Dimensions: 5 x 2.4 x 1.2 in. The C3 is the latest in FLIR’s portable & highly successful C series of pocket thermal imaging cams. It brings outstanding image fidelity powered by the same MSX as seen on the E8, has built-in Wi-Fi, and can be customized to easily detect and distinguish either hot or cold spots for precise diagnosis. It’s a little more expensive than the C2, but improvements across the board are worth it. One of the C-series’ main selling points is their compact size. The camera is small enough to be carried around in your pocket and ready to record in about 10 seconds. It has a hard rubberized outer casing that’s shock-proof as well as a flexible yet firm screen so the device is likely to survive in case you drop it. A useful flash completes its exterior, acting as a flashlight or brightening images up in normal camera mode. Two imaging features stand out as the most useful – MSX and temperature lock. The former combines the output of the C3’s IR sensor and regular camera, sharpening the thermal image and adding lines to objects, making it much more clear what you’re shooting at. Once temperature lock is active, the C3 can measure a room’s temperature differences and adjust its color scheme based on the min/max temperatures found. This way you can get a clear read of abnormally hot devices or cold spots regardless of how small the overall temperature differences are. Now that Wi-Fi is enabled, you can send pictures directly to your phone. A practical picture in picture mode allows you to superimpose an image taken with the IR camera over a regular one. Battery life is solid too as the C3 can work for 2 hours straight per charge. The C3’s battery starts out with a good charge, but the more you recharge it, the weaker it becomes. After a couple of years of use, you’ll need to replace it. As this is an entry-level camera, its sensor isn’t the most powerful we’ve seen. It’s great for detecting things’ surface temperatures, but won’t be able to penetrate thick concrete in search of leaks. Dimensions: 4.9 x 3.1 x 0.9 in. Have you ever found yourself in a room full of machines whose temperature you had to measure, but didn’t dare come too close to all that heat? FLIR has the ideal solution to help you get the data you need while staying out of harm’s way. Thanks to the TG165’s dual targeting lasers, you can get a precise reading in any environment. The camera’s lasers allow you to frame an area and get an accurate reading from far away. Even if you’re in a dimly-lit industrial complex with curving tanks or mazes of pipes, the lasers ensure that you know exactly where temperature measurement is taking place. Keeping in line with the hazards of such work and FLIR’s own high standards, the TG165 is encased in hard plastic that protects both its screen and the 80×60 sensor by protruding slightly outwards. Dropping it from as high as 2 meters will leave the device unscathed, and a rechargeable battery will keep it running for 8 hours straight. When turned on, its response time is amazing! You can start taking pictures right out of the box by pulling its trigger, and they’re saved in less than a second. The TG165 comes with an 8GB micro SD card, which can store thousands of images given their small size. Even so, the resolution and field of view are both good, and the thermal images it captures are reasonably detailed. We’d have made the TG165 the best value option without a second thought if only it had a regular camera on top of the IR one. As it is now, you can only record thermal images. Since no visual camera is present, you can’t take advantage of MSX either, and the images are grainier than that of the C3 as a result. Dimensions: 7.3 x 2.2 x 3.7 in. You don’t need to spend thousands of dollars on professional-grade thermal imaging equipment, especially if all you want to do with it is check the temperature of your grill or snap some weird photos of your friends. 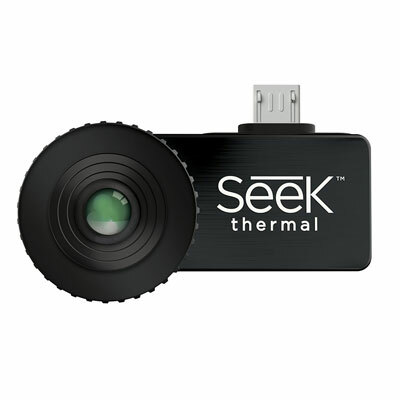 To address the needs of the casual user, Seek has come up with an ingenious and versatile gadget – an IR camera which connects to your Android or Apple device via USB and turns it into a capable thermal imaging tool. You’ll notice right away how tiny the camera actually is. So tiny and light in fact that you’re liable to lose it if you don’t keep an eye on it. Luckily Seek provides you with a small carrying box that easily attaches to a keychain. Setting the camera up is as easy as downloading the app and plugging it into the phone. Once turned on, the app will recognize the camera immediately and switch to viewfinder mode. Seek’s camera has an impressive temperature range, and the 20-degree field of view is enough to capture points of interest close up. The resolution is understandably small, and you’ll get the best results while holding the camera perfectly still. Split-screen can be turned on to divide the screen between your phone’s regular and the Seek thermal camera for comparison with the option of adjusting how much of the screen is dedicated to each mode. There are a number of gradients to choose from and can make for some trippy images with a bit of creativity. Another useful feature is spot mode which displays the exact temperature of whatever is currently at the screen’s center. Looking for something specific and don’t want to be distracted by other objects? You can set upper and lower temperature thresholds to exclude areas that are too hot or too cold to more easily focus on finding a leak, or a pet. Although we didn’t expect the image quality to be on par with that of a cellphone camera, there’s enough detail loss to make most images very grainy. Even slightly moving your phone will also add a lot of blur to the image, degrading it further. Dimensions: 1 x 1.8 x 1 in. What to Look for In a Thermal Camera? The first thing a good thermal camera absolutely needs to have is an IR sensor with enough pixels to construct a detailed image. Whether you need to determine which wire is causing a problem with your home’s grid or make out objects in the distance, better resolution gives more accurate results. Regardless of budget, choosing the camera with the highest resolution in your price bracket is a must. Sometimes knowing that there’s a temperature difference isn’t enough and you need your thermal camera to give precise, verifiable numbers. To ensure the most accurate results, the camera needs to be certified as providing readings that fall within a 2-percent margin of error. Products by Seek, FLIR, Fluke etc. All meet or exceed these standards, but less reputable manufacturers might not be so thorough. 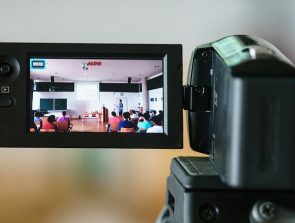 The camera’s temperature range needn’t be extreme, but you do need to get one that covers the range you’re likely to encounter in your home / line of work. Nuanced difference detection will come in handy too. The camera should at least be able to pick up a temperature difference of 0.5 degrees or less. Thermal cameras are primarily used to convey information on an area’s temperature, but why settle just for that? 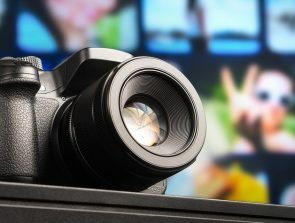 Documentation often dictates that you take pictures of problem areas, and that’s where a normal camera mode and a built-in flashlight will be of great help. Save on space in your toolbox and on expensive gadgets by buying a versatile thermal camera which has both of these as part of its repertoire. If you’re a professional building inspector with hundreds of properties to clear each year, you can’t afford to have a thermal camera that takes ages to snap a picture. A good model should focus quickly and automatically, take the picture in an instant, and make it available in a file format that’s universally readable. Models with Wi-Fi capability are becoming the norm, and quick image transfer to your smartphone for a closer look on site or to a computer later on as part of the documentation process is made much easier by it. Due to the nature of their application, thermal cameras need to be able to handle a beating. Some FLIR models, for example, are certified to be able to survive a fall from 6.5 feet without consequences. While you wouldn’t want to put this to the test, choose a camera that’s built to last. It also needs to be comfortable to hold for longer time periods and light enough to not strain your wrist with prolonged use.